Guide to Soccer Saturday Super 6 | Fabio and Rafael da Silva! 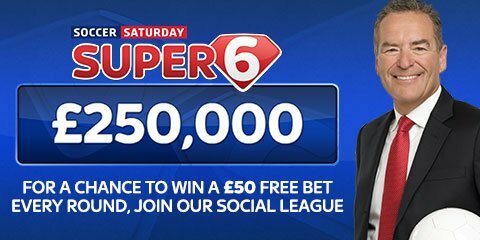 There’s a large portion of SkyBet customers who regularly indulge in the Soccer Saturday Super 6 and it’s plain to see why it’s so popular - it's free! Free-to-play games on bookie websites are a worthwhile endeavour for those who want a break from putting money on the bets they make, and they’re a welcomed novelty side to football betting that keep punters coming back every single week. Games like SkyBet Super 6 (or the World Cup version that is promising a prize of £100 million! )are always worth having a go at due to the fact that they’re completely free and could be worth a massive cash prize if you win. The odds on you being the winner are extremely slim but with nothing at stake, it’s hard to see why you’d not get involved. Working out how to play the game itself can be difficult to grasp at first. Fortunately, websites like FootyAccumulators offer their own Super 6 Tips page, which has extensive information surrounding the game, as well as their own picks for every gameweek. Every week, SkyBet update a page on their website and app with six games which are all being played on the same day, preferably kicking-off at the same time. You need to accurately predict the final score for every single one of these games, with a tie-break being the ability to guess the time in which one of the games sees its first goal, which comes into use if more than one person has predicted every selection correctly. This sounds reasonably easy but the games they offer tend to be a mixed bag, and your prediction could be ruined by too many or not enough goals in one of the games. All you need to get involved in Soccer Saturday Super 6 is have a SkyBet account. A winning selection could reward the lucky customer with between £5,000 and £1,000,000 in cash. How does Super 6 work? Your account keeps a track of your predictions so if you want to change anything prior to the games getting underway, you’re able to do that right up until the very last minute. While betting on your own football tips is almost certain to always be the most enjoyable section of a bookie website or app, Super 6 is a fantastic alternative which offers a massive sum of money for the winner on a weekly basis. The sorts of matches included in Super 6 tend to be Premier League matches and Championship games but there’s always the possibility of FA Cup, Champions League, Europa League and international games being added in when league games aren’t being played. Punters also have the option to back some of the results they’ve predicted afterwards, with it consisting of either the full-time results or the final scores, making it even more worthwhile to customers of SkyBet.